This is a San Diego regional program with leagues at several different levels and a Fall and a Winter season. 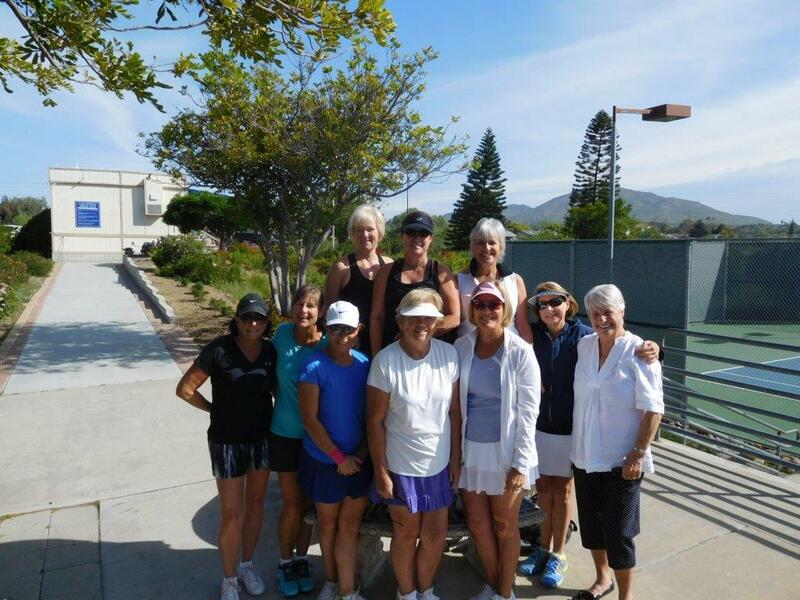 Each league is made up of a changing number of teams from tennis clubs all over San Diego County. 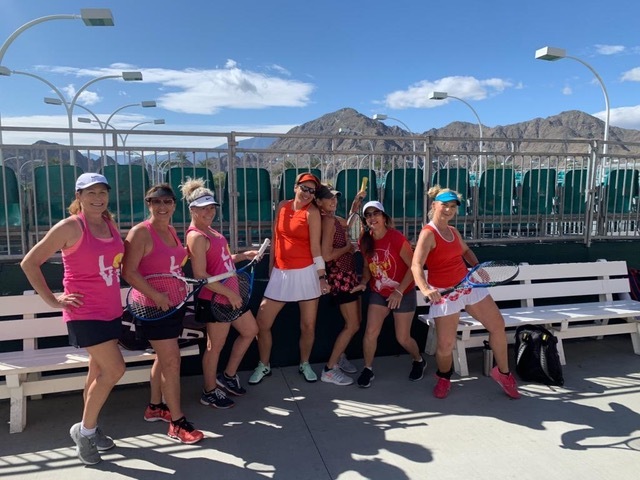 Matches are played at the various tennis clubs that have teams in the league so half of the league matches for each team are played at home, LMTC, and half away at other tennis clubs. 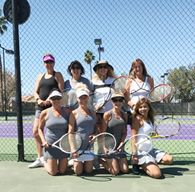 Teams are made up of 12 players (6 doubles teams) and each league match consists of a best-of-three-sets match for each doubles team. Play and scoring are traditional format following the USTA rules, with a standard tie-breaker game at 6 all. The Fall season runs from September through late November and the Spring season is from January through March. Men, Women, Mixed, and Juniors. Sign up year round for a night league full of competitive singles, doubles, and mixed doubles. Great format with people on the courts rooting and cheering everyone on to victory. We compete against all other major clubs in San Diego. If you win San Diego section you move on to sectionals and nationals. The sign up sheets will be posted on the bulletin board in clubhouse. 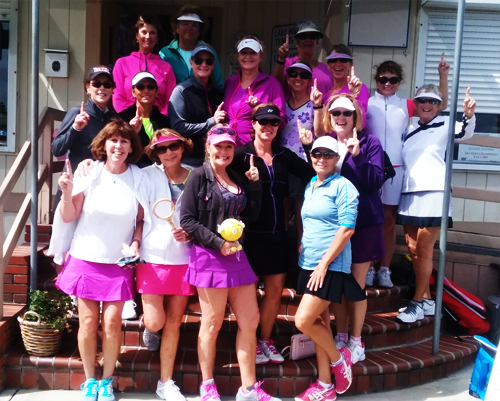 Lake Murray Tennis Club currently hosts two San Diego Junior Tennis Teams. Our youngest team is the 10 and under Lake Murray Lobsters, playing in the 2.9 intermediate green-dot division. The Lake Murray Coyotes play in the 14 and under 2.9 yellow ball division. Our fall season runs from September though December and the spring season will begin in late February and run through April. More information can be found at the following links. Join this friendly group of gentlemen who battle it out on the courts every Thursday from 8:30-11 am. They play 4-30 minute sets and rotate around. They also travel across town and play a few matches against other clubs. There is a slight fee for balls. Contact Michael Boyko at 619 339-1911 or email at smbinfo38@aol.com. Congratulations to team 50 Love! 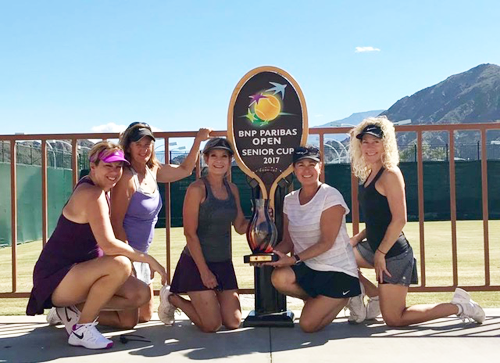 These ladies recently won the BNP Senior Cup 4.0 Division in Indian Wells. 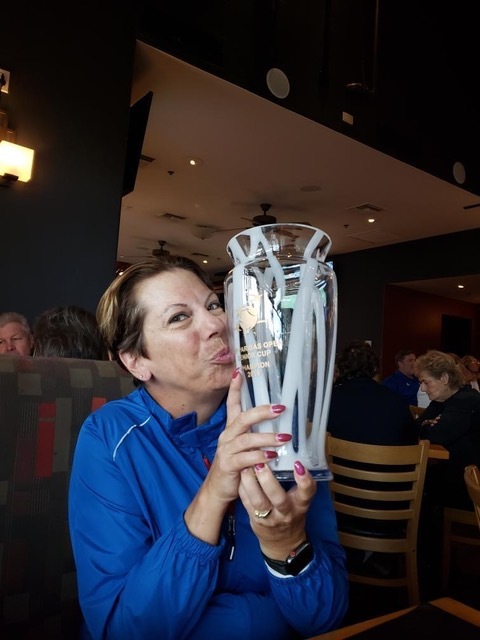 Led by club member Lisa Shirley, the team included other club members Dawn Doyle and Jenae Sanders. Well done, ladies!